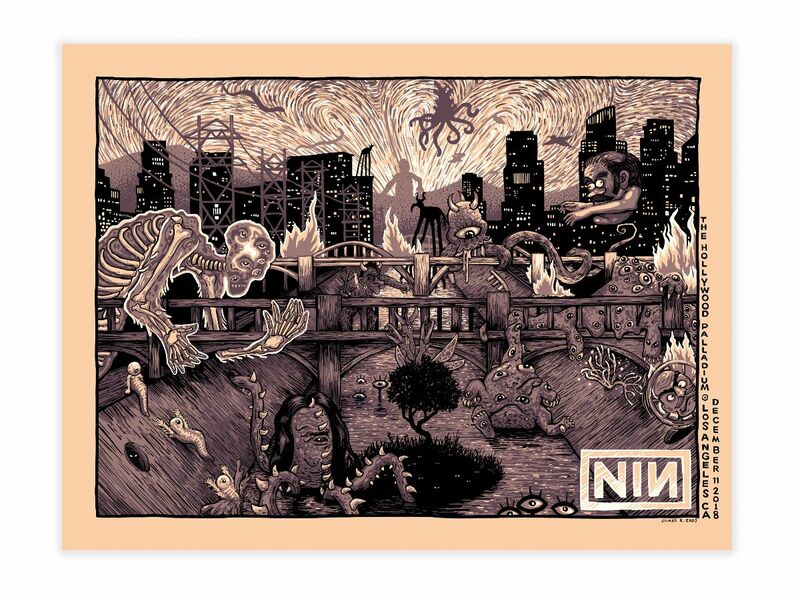 "What Really Happened to the Sixth Street Bridge" an 18" x 24" four color screenprint for the Nine Inch Nails show in Los Angeles on December 11th, 2018. 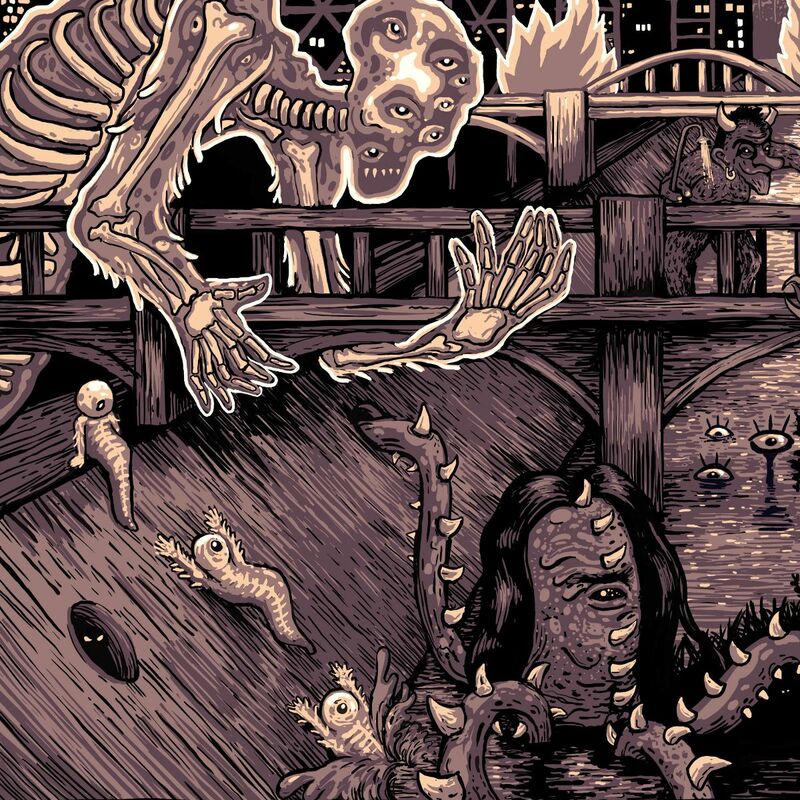 This print is inspired by Japanese Yokai, the Los Angeles River and the destruction of the 6th street bridge. I will have a limited AP edition of 75 prints available this Thursday as well as a very limited Gold Mirror Foil Edition of 15 (pictures below). Both editions are limited to one print/order. We decided to squeeze this release in before we went on Holiday break so we could start 2019 off with a clean slate (besides the thousands of Open Portals orders). If you are still waiting on your Black Friday/Holiday orders to ship out thank you for your patience, everything is on the way and the order cache should be cleared before this release on Thursday. 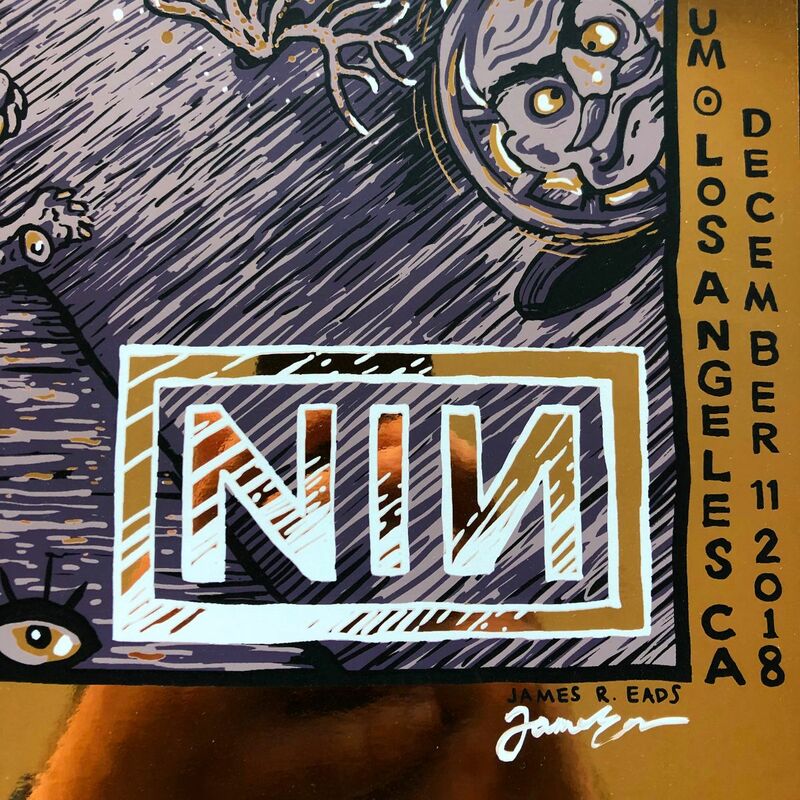 NIN posters will ship out next week. Our last shipping day for this year is December 20th! After that we won't be fulfilling orders again until January 8th as the studio will be closed. 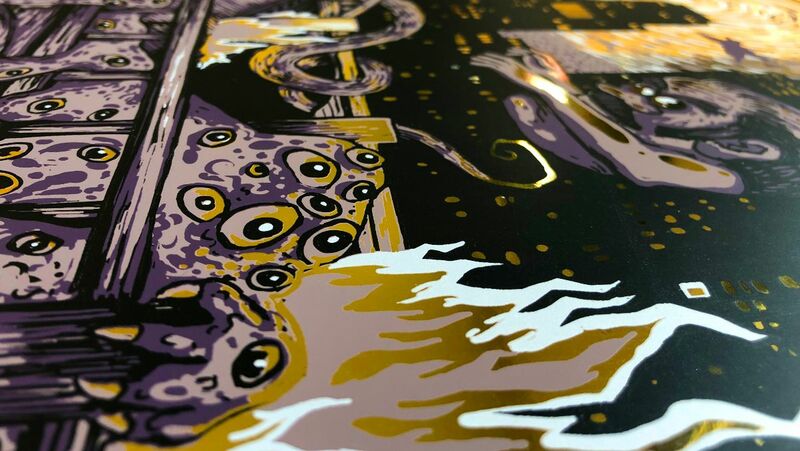 When we return from break we will be furiously shipping all of the Open Portals Kickstarter Pre-Orders. Decks and Open Portals components will be available to the public in the shop once we have fulfilled all of the pre-orders. Thank you thank you thank you for such a wonderful year. You all inspire me to keep sharing my work and in turn it has allowed it the room it needs to evolve and grow. So thank you again. A 2019 Note: This will likely be my last gig poster for some time and I'll be spending 2019 working on some things I've wanted to do for a while and exploring new directions and some old mediums. I'm not completely stepping away from gig posters for good and I'm not sure what the future may hold for me but I am eager to find out.